A beautiful evening at Swayze Field brought a win for the Rebels. No. 4 Ole Miss defeated Arkansas-Pine Bluff 10-3 in its final midweek home contest of the season to finish unbeaten at home in midweek games. The Rebels continued their offensive hot streak by combining for 10 runs on 11 hits. The offense was led by Grae Kessinger, Nick Fortes and Anthony Servideo. Fortes continued to be a presence in the lineup, delivering his ninth home run of the year with a three-run dinger in the first inning that put the Rebels on the board. Freshman Anthony Servideo earned his first career home run as a Rebel with a two-run shot to right field in the second inning. On the plate and on second base, Servideo has been a critical part of the Rebel offense when put in the game. Head coach Mike Bianco said he has been impressed with the new second baseman. Kessinger went 4-4 Wednesday night, recording three singles and a double. This was just one of several games over the past few weeks in which Kessinger has been a continuous threat at the plate. A strong showing by the Rebel offense early in the game provided opportunities for many players to come off the bench to close out the game. Pinch hitters Michael Fitzsimmons and Carl Gindl were able to continue the hot offense and finish the game strong. The Rebels had 13 different batters come to the plate, almost all of whom managed to get on base. Five Rebel pitchers took the mound Wednesday night, and freshman Jordan Fowler earned his fifth win of the year. After a solid 4.1 innings of work from Fowler, Connor Green took over on the mound. Green pitched 1.1 innings and recorded three strikeouts. Austin Miller was next on the mound for the Rebels and allowed no additional runs by the Golden Lions. Dallas Woolfolk came in for the eighth inning, during which he struck out two of the three batters he faced. Greer Holston pitched the ninth inning and efficiently closed out the game by striking out three batters. 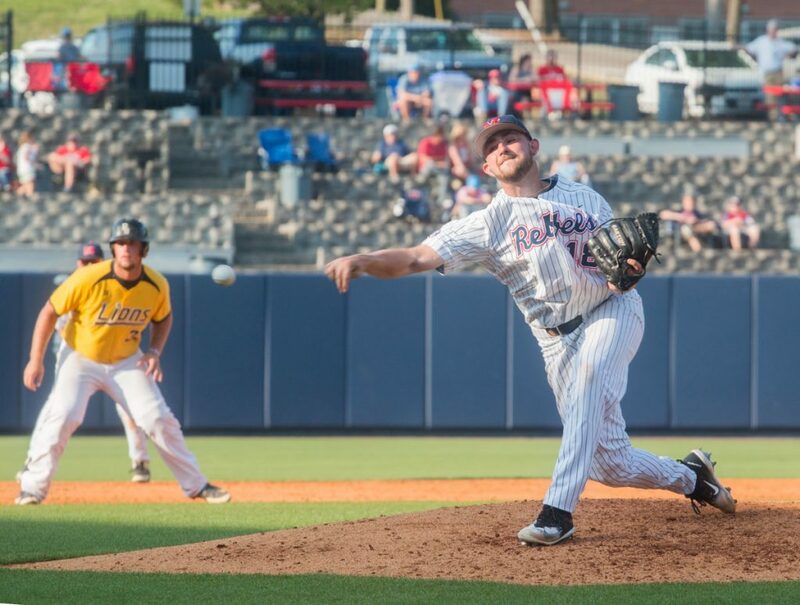 Woolfolk was the highlight of the pitching staff Wednesday night. After a rough few weeks of not pitching very well or seeing many games, Woolfolk looked like his old self again. In addition to striking out two of the three batters he faced, Woolfolk threw 10 strikes in 14 total pitches. Many of his pitches were too high velocity for the Golden Lions to handle – the fastest clocked in at 94 mph. This game was a great confidence boost for Woolfolk as the Rebels near the end of their season. Coach Bianco was happy to have his strong reliever back. With Wednesday night’s win, the Rebels improve to 35-11 on the season, exceeding their win total from the 2016-17 season. 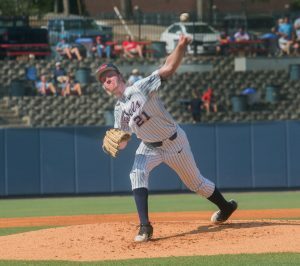 Ole Miss heads to South Carolina this weekend to face the Gamecocks in one of the final SEC series of the year. 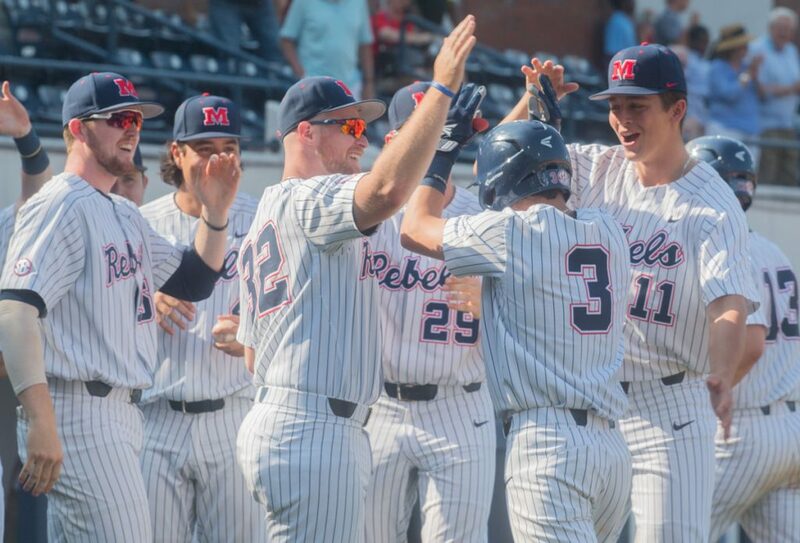 With the SEC West still up for grabs, the Rebels are trying to stay hot as the season winds down.